Have you ever considered making a Solicitor your Executor? We investigate the benefits of appointing a Solicitor to act as your Executor when you prepare your Will. When it comes to making a Will many people ask for their Estate to be dealt with by friends or family often known as Lay Executors. This can be to avoid legal fees if left to a Professional Executor such as a Solicitor to deal with. The responsibility and liability of being an Executor can be very demanding, therefore who you choose to appoint as Executor is crucial. The task of being an Executor is often far more complex than you would first think, especially when dealing with an Estate which is worth a substantial amount. If mistakes are made by Executors which need rectifying through the Courts this can prove far more expensive in legal costs than it otherwise would have been had a Solicitor been appointed as Executor from the outset. The number of Lay Executors who have mishandled a Deceased’s Estate is on the increase and many have consisted of allegations of theft, negligent distributions or distributions which were deliberately wrong. It has been known for Lay Executors to make decisions which may not necessarily be in the best interests of the Deceased. Where distribution errors have been made or cases of theft have occurred, the family due to inherit the Estate will have no course of action to recover monies other than through Court Proceedings which can be a costly exercise. So, what are the benefits of appointing a Solicitor as Executor? It removes the responsibility for the family, friends, spouse or civil partner to have to deal with the Estate when they will be in a state of grief. If disputes occur within the family, a Professional Executor can ensure that actions are fair and the Administration of the Estate is carried out with objectivity. Having a Solicitor as your Executor means that there will always be someone responsible to act in your best interests and this provides security. It will avoid financial penalties as paperwork will be dealt with properly. Due to their high level of expertise, the Administration of Estates can be dealt with in a time efficient manner. They provide protection as they are regulated unlike amateur Executors. They can deal with complex affairs such as overseas assets. They provide experience and expertise. 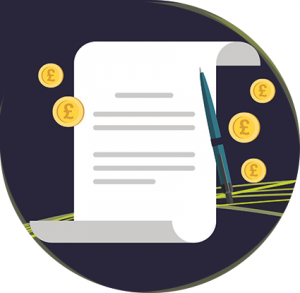 Here at Hodgkinsons Solicitors Skegness we aim to make our Clients aware of the cost implications upon appointing Professional Executors to ensure full transparency and peace of mind. Our department of specialist Wills and Probate Lawyers have the expertise to provide assistance and guidance throughout the entire process of Estate Administration. If you would like further information, please contact a member of our team by calling 01754 897150 or simply fill out a contact form and we will call you.